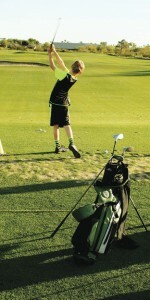 Kids Golf Bank: Growing the Game of Golf One Kid at a Time! Local junior golf organization provides free golf and practice rounds to valley youth. MANY OF THE SUCCESSFUL SKILLS THAT PEOPLE ACQUIRE THROUGHOUT THEIR LIVES SHARE A COMMON THREAD WITH ATHLETICS, including the game of golf. The patience required to learn something that can never be mastered; accountability for each shot, good or bad; humility in the face of adversity that every golfer faces sooner or later; and the confidence that comes from the joy of a well-struck shot are all examples of useful values found on, and off, the golf course. Despite this, golf is sometimes still overlooked as a learning platform when in fact it combines athletic skill with a lifetime of learning opportunities like no other sport. These lessons don’t necessarily resonate with the younger generation, so some clubs have tried to boost youth participation by experimenting with interesting ideas from widening the cup to combining golf with Soccer and Frisbee. These concepts, while thought provoking, detract from this royal and ancient pastime and do very little to help the game in general. After centuries of success why change it at all? 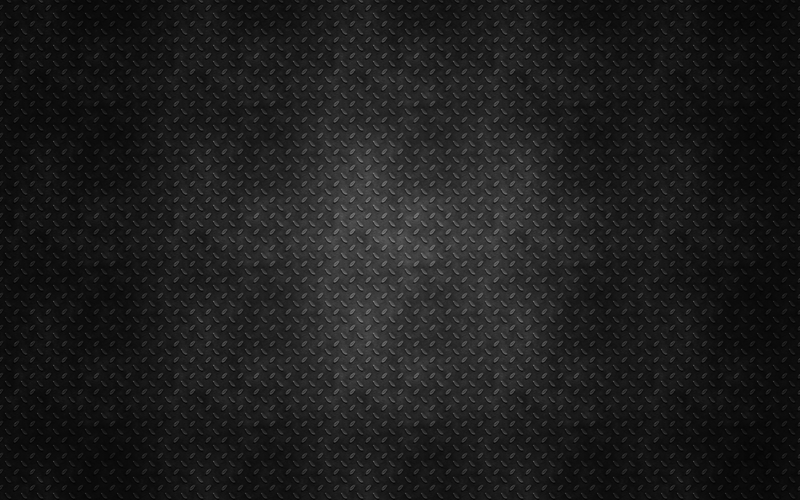 The problem isn’t the game, it’s the lack of players. So why not just encourage more youngsters to take up the game? This is exactly what the Kids Golf Bank aims to do; one kid at a time. 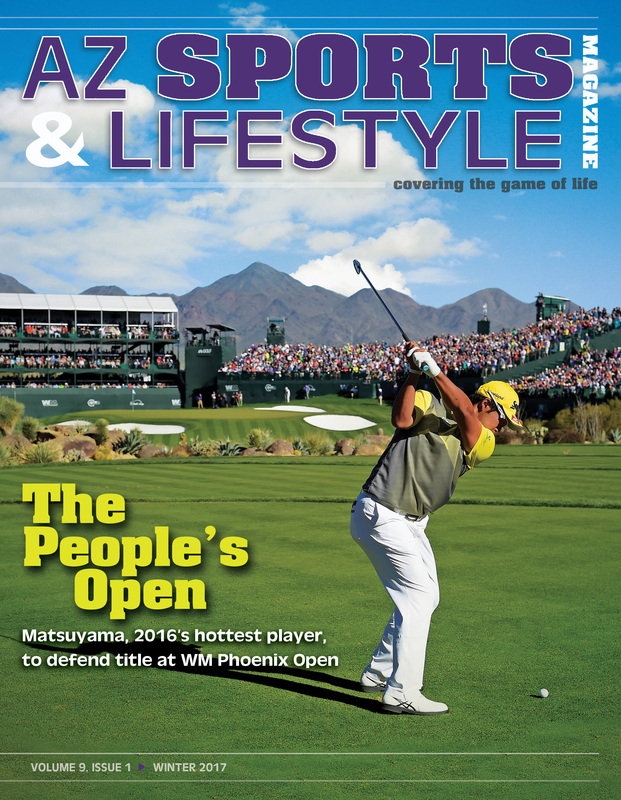 Like many sports, golf requires a measure of financial investment. 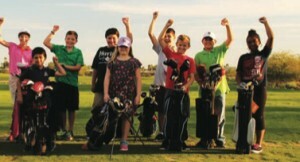 Through coordination between junior golf organizations, golf facilities, golf industry leaders and individual donors, the Kids Golf Bank provides young golfers with free lessons, practice sessions and rounds of golf at participating courses, effectively breaking down fiscal barriers and creating lifelong relationships between children and the game. Dr. Mick Carroll, a child psychologist and founder of the Kids Golf Bank, drew inspiration from his daughter, Michelle Carroll, who was diagnosed with Stage IV Neuroblastoma during childhood. Although she survived, the extreme chemotherapy and bone marrow transplant stunted her growth, making participation in team sports difficult. Despite doctors and statistics telling her she would never play, Michelle took to the game of golf like a duckling to water, and after countless hours learning, playing and practicing on a local First Tee golf course with dad faithfully on the bag, she “Grew” (4 feet, 11’ inches 83 pounds) into a fine golfer who played four years of high school and became captain of her college golf team at Millikin University. Michelle is now a Pediatric Oncology nurse in St. Louis, helping others overcome the same challenges that she faced many years ago. Her success is proof positive that golf is a catalyst for learning and confidence. In golf, as in life, players compete against themselves and the golf course. They alone are responsible for success or failure – a great way for young people to learn and grow into independent adults. It’s high time to change the way youngsters think about golf without changing the game itself. Golf is far from an elitist sport built specifically for the wealthy, it’s a tool to teach all young people how to be accountable for their actions, among other things. Making the holes wider or concocting a soccer-golf hybrid are just the latest examples of gimmicks that undermine the foun- dation of the game. Instead, organizations such as the Kids Golf Bank offer the most effective and economical options to create a new generation of enthusiastic golfers that will actually play the game as it is intended.